Seminars and webinars can be crucial methods of development for your business. Seminars are topic based conferences and are assigned locations each year. As technology grew into the business world, webinars became a simplistic, convenient form of seminars. Webinars can be specific to a section of the business world, but are most often used for meetings or training. There are multiple benefits and mishaps from attending these two. To provide insight into both, below are the top 20 pros and cons of attending seminars and webinars. 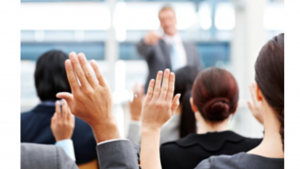 Seminars offer insight that extends beyond articles and your colleagues. The professional development opportunities could largely impact your employees, which in turn positively impacts your business. You could have a special learning experience as a seminar attendee. This learning experience can be a stronger understanding of a subject you’re keen with, or new understanding of an unfamiliar subject. Either way, you can return equipped with valuable insight into your field. The best way to beat your competition is to observe and further understand them. 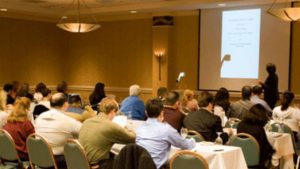 Seminars offer insight into your competitors, which provides avenues for overcoming them. If you’re feeling less experienced than your colleagues or find yourself unsure of your ability to complete your daily work tasks – try attending a seminar and apply those new ideas towards your business. There are a variety of networking opportunities at seminars. There are often expert speakers attending seminars and you can interact with them one on one. Take advantage of these interactions by exchanging contact information, as networking is a vital business technique. Webinars are an affordable way to have the seminar experience. Regardless of the type of webinar, they are often free. As an additional pro, webinars are easily accessible. They are often done through phone conferences or web cam voiceovers. Unlike seminars, webinars have unlimited spaces because it doesn’t have a physical location. This means you don’t have to plan ahead or rush to get a spot in the webinar – you can sign up for it at any time. 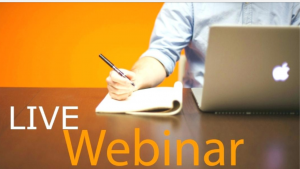 Webinars are a flexible opportunity because it offers an accessible, affordable option of expanding your knowledge or attending meetings for an important business cause. Because webinars occur through the phone or online, your location is irrelevant – you can be in the coffee shop, office, or library and still participate in the webinar. Seminars offer a limited number of spaces. This is detrimental because it could mean you miss an opportunity to attend the seminar. If the seminar is essential for your professional development, this could prolong your business success. Unlike webinars, the cost of seminars can be pricey. Again, if the seminar is essential or overall beneficial for your business, this could negatively impact your ability to attend. Seminars tend to be located away from your business, which is inconvenient when you need to be involved on site of your business. You may not have the time to travel to the seminar location – this is where priorities for your business weighs in your decision to attend. If you find yourself drifting away in the middle of the seminar and realizing your time would have been better spent at your business – you will regret the time, money, and effort placed into the seminar. Although numerous seminars are conducted by experts in their field, there are times where some of the speakers are on the same level of thinking as those colleagues that are hanging on to their jobs by a thread. This can be a waste of time for you and your business, which can create unnecessary problems after the seminar. Although webinars are easily accessible because of technology, this can also backfire. Technological difficulties are inevitable and can ruin your ability to participate in the webinar. Some webinars are required, so losing internet service or having crackling during the webinar can become a bad situation. Despite the convenience and location of webinars, when your surroundings are distracting or you struggle to multitask, you develop poor focus levels. These poor focus levels can cause you miss valuable information for the benefit of your business. Teamwork is valuable in the business world, but webinars remove this opportunity. If your webinar is required for training techniques you must relay to your employees, you will be forced to convey the information on your own. This requires large focus levels, which as mentioned above, can be awfully difficult. Sometimes webinars are voiceovers, which restricts interaction with the speaker. If you misunderstand something during the webinar, you will be restricted in ways to ask for clarification. In addition to technological difficulties, your device may be incompatible with the software used for the webinar. This is extremely inconvenient and will remove more time from your business, as you attempt to find alternative ways to participate. Although the effects of webinars and seminars vary, they could be beneficial to your business. If you don’t have a legit work online opportunity, that your already apart of, please don’t hesitate check out Wealthy Affiliate. Weekly webinars take place every Friday at 8pm. Do you have something to say about your webinar and seminar experience? Maybe something to add about your favorite or disliked portions of both? If you do, please take the time and leave your comment at the bottom. I would love to hear it! 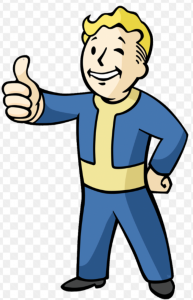 Thanks for reading my post, and good luck with your success! It is very true about the pros and cons you have listed. While I have never actually attended a seminar, I have done more webinars than I can count. Unless the presenter knows how to keep your attention, it is very hard to stay focused. Especially when you know that they are only giving you the bare minimum info so they can upsell you their product or service. It makes it hard to enjoy them. But it is nice that you can do it from anywhere you have internet and if you are not enjoying the webinar you can exit out. Unlike the seminar where everyone will watch you walk out! Hey Leah, and thank you for commenting. I as well, have attended countless webinars. And I totally agree with the attention spans thing. You would have to be an extremely good talker and people’s person, to be able to maintain everyone’s attention. Especially like you said, when your trying to sell them something. Thanks again for your comment Leah..